The world of natural hair has always been a community. Most of us are more than happy to share our experience with one another about what worked for our curls. With the powers of the internet (and YouTube in particular), the scope of the natural hair movement has grown drastically in recent years. If you are not already following a few natural hair YouTubers, you are missing out on some helpful information that could make a difference in the vitality of your own head of curls. Here are 10 natural hair YouTubers the NaturallyCurly community loves. Francheska knows a thing or two about healthy and conscious living. Her easy to follow homemade hair and skin recipes say it all. 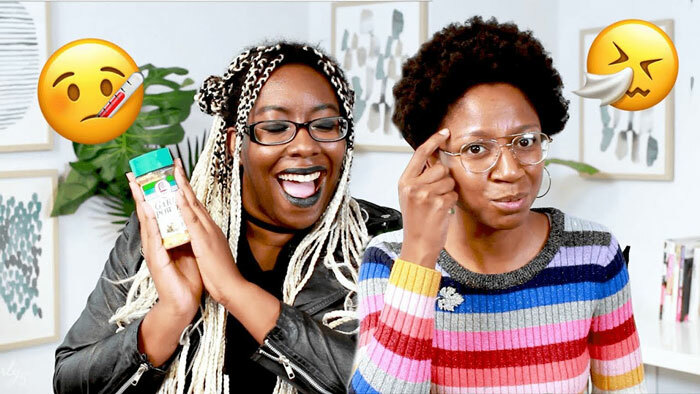 For the naturalista looking for an all-natural remedy for anything from menstrual cramps to detangling curly hair, this channel is a one stop shop for living your cleanest life possible. No day will be a bad hair day if you subscribe to Hair Romance on YouTube. This wavy girl has beautiful and intricate hairstyle tutorials that will dress up any outfit or occasion. Complete with various hair hacks for adding volume to limp hair and flair to a boring style, this channel is for the wavies of the world. Bright, fun videos that highlight hair and makeup unboxing and tutorials on curly girl Raye Boyce's page. From tips on perfecting the smoky eye to making a huge jumbo braid, she doesn't disappoint for teaching us how to serve Instagram-worthy looks. With a steady following already, this video blogger covers a wide range of topics including fashion, beauty, and hair care. From step by step tutorials on how to achieve the latest hairstyles to how to create a variety of makeup looks for all occasions, The Chic Natural offers tons of tips and tricks to help you look and feel your best. Her bubbly personality and know-how definitely earn her a spot on the list of natural hair YouTubers to consider. Subscribe to this fashionable page for tips specific to those wanting to maintain long, naturally curly hair. Jewellianna also offers various tips for beauty and fresh fashion hauls for the everyday millennial woman. Another YouTuber covering a range of topics, Journey to Waist Length takes viewers through her hair journey while offering tips on par with the current fashion and skincare trends. Since 2011, YouTuber Shaneice has taken us along for her journey to healthy natural hair that is long and flourishing. Her videos also dabble in fashion, beauty, and even technical advice for those needing help editing their own YouTube videos. Whitney has been on YouTube since 2008, making her one of our favorite veterans in the natural hair game. Now married and with two kids later, she gives plenty of advice for maintaining an all-natural lifestyle, including unboxings, DIY recipes, and hairstyle tutorials easy enough for even the beginner natural. Join Alba and her flawless curls as they dive into the things it takes to keep up the healthiest, most fulfilling life possible. In addition to hair care videos, this bilingual vlogger also shares her business endeavors for young entrepreneur inspiration. 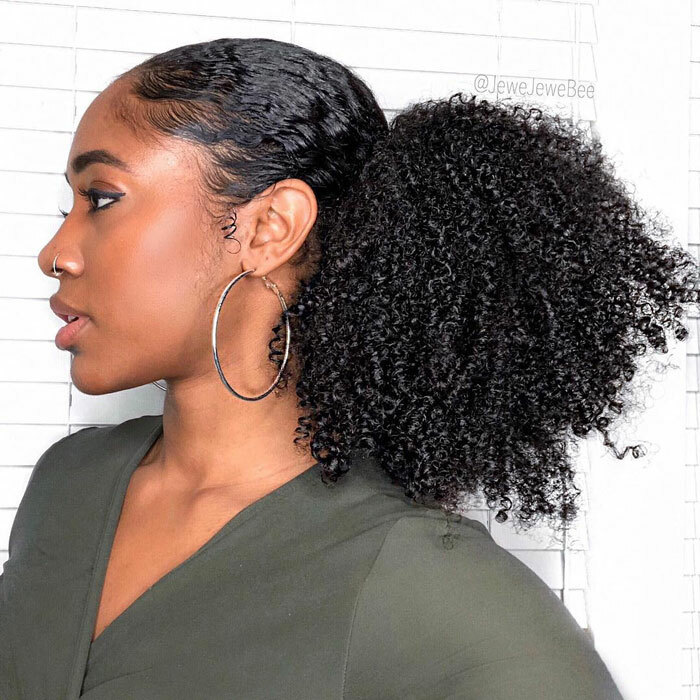 Also referred to as KinkyCurlyCoilyMe in the natural hair community, Jenell B. Stewart has made a big impact on naturals everywhere with her videos showcasing coily natural hair. She doesn't only give her audience hair tutorials, but also provides a platform for topics regarding afro textured hair that can be helpful to community newcomers. Her perfect haircut, her beautiful hair color and coils make CharyJay a recommendation for naturals looking for the best product regimen for their color-treated curls. If you deal with shrinkage and dryness, her reviews are a great go-to choice. But of course! Our channel provides a platform for women with waves, curls and coils with a much needed dose of comedy and lightheartedness! Here, the natural community can get product information that is relevant, tutorials, and crazy hair hacks from our NaturallyCurly editors spanning the entire texture spectrum. Check out our weekly Watch and Go series where we review a movie or show we've been watching while doing a wash and go tutorial on camera.